The design is part of my Form Follows Function line. 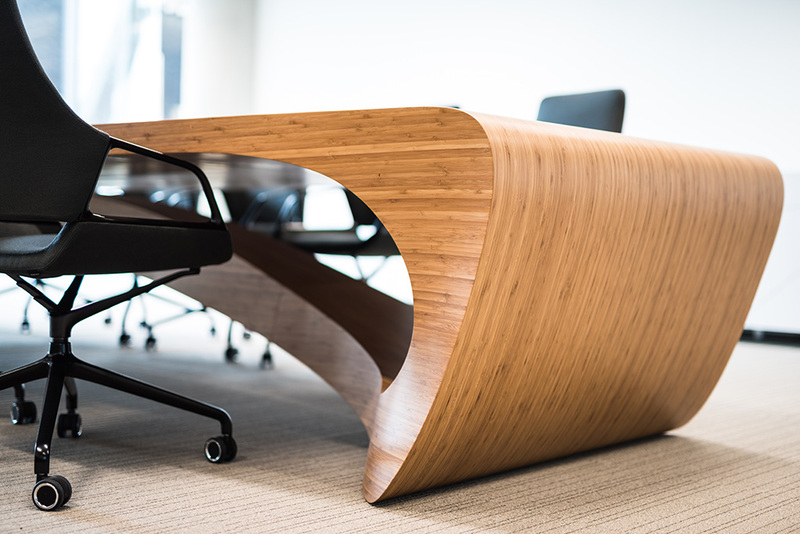 The tabletop goes over into the feet of the table and finally closes the loop with an arc. The table is finished with Bamboo veneer and silk matt lacquer. 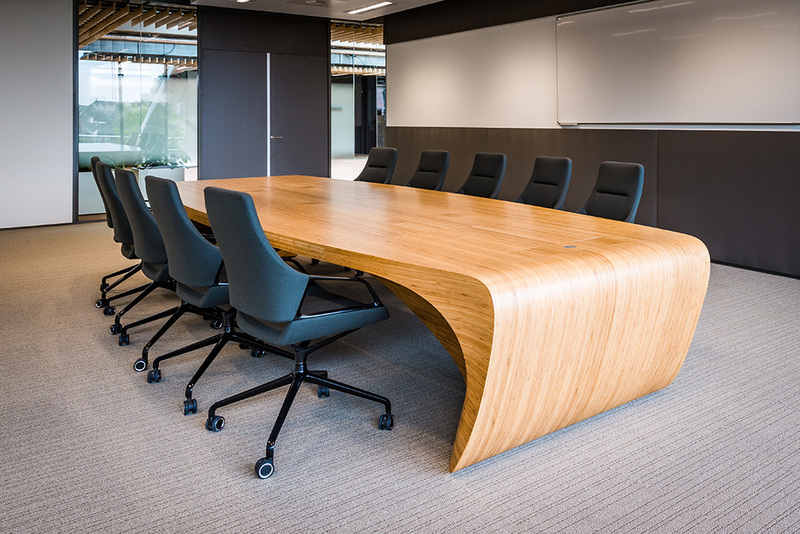 Thanks to the trust of Leenders Architecten and Ahrend I got the assignment to realize the Form Follows Function Boardroom Table for Vanderlande. Factsheet FFF Table. Price is available on request.